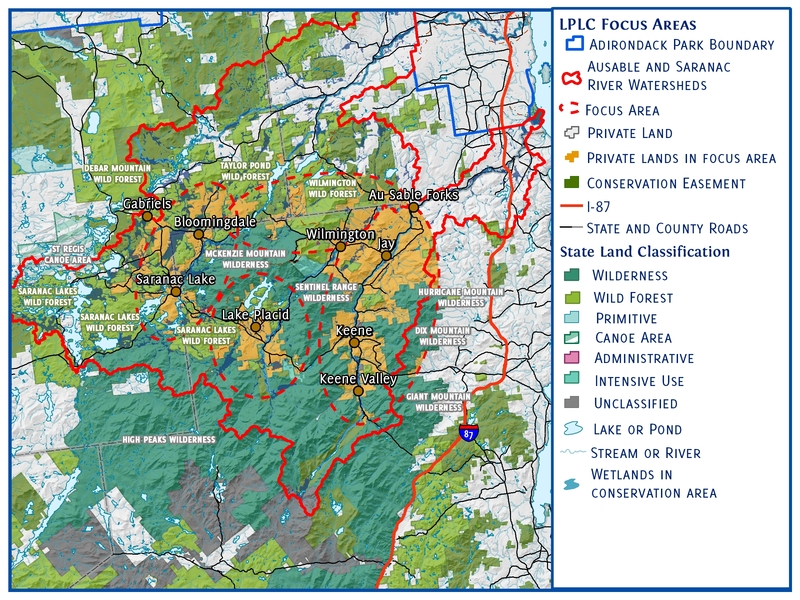 LPLC recently developed a geo-referenced, Geographic Information System (GIS) database to identify relevant conservation values of specific parcels within its four focus areas. LPLC is highlighting conservation values of specific parcels to engage interested landowners and assist them with developing conservation goals for their properties. 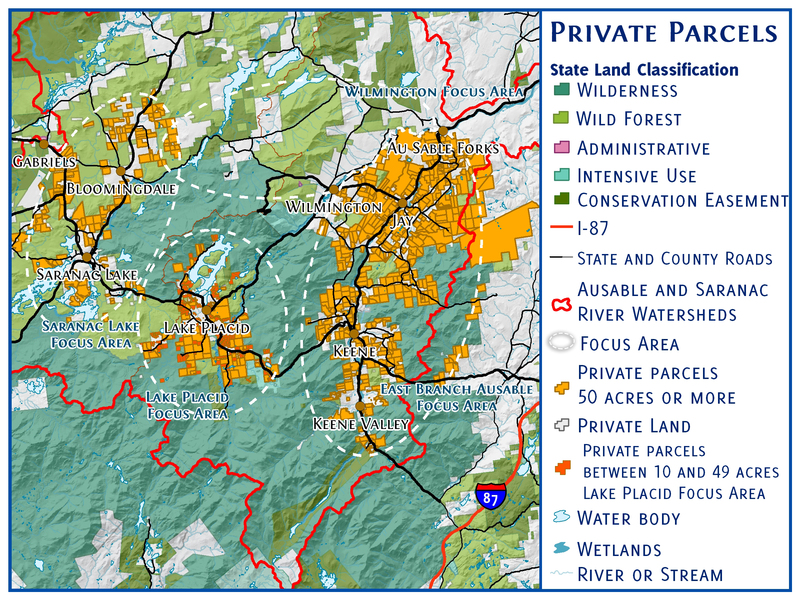 The map above depicts private lands (in orange) surrounding the High Peaks. The Ausable and Saranac River watersheds are outlined in red. LPLC will concentrate its inital conservation efforts in four focus areas ( outlined by dash marks). The map above shows private lands (in orange) by tax parcel for three focus areas. Mapping revealed that lowland forest communities in the High Peaks region are highly parcelized and have the potential to further fragment the lowland forest landscape. Detailed maps for each focus area are available on the menu on the left of this page.